in low-income communities shows that access to affordable and culturally appropriate fruits and vegetables is essential for addressing food insecurity. A recent study of food security in Connecticut found that Hartford’s population is the most at risk of food insecurity in the state. Although several approaches have been developed to address this, access to produce in many Hartford neighborhoods remains a challenge. 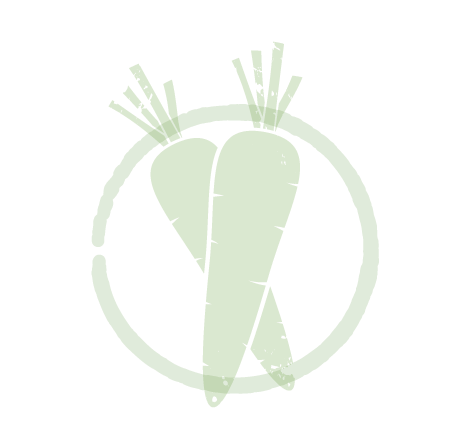 aims to address the lack of access to affordable and high-quality produce in many Hartford neighborhoods. 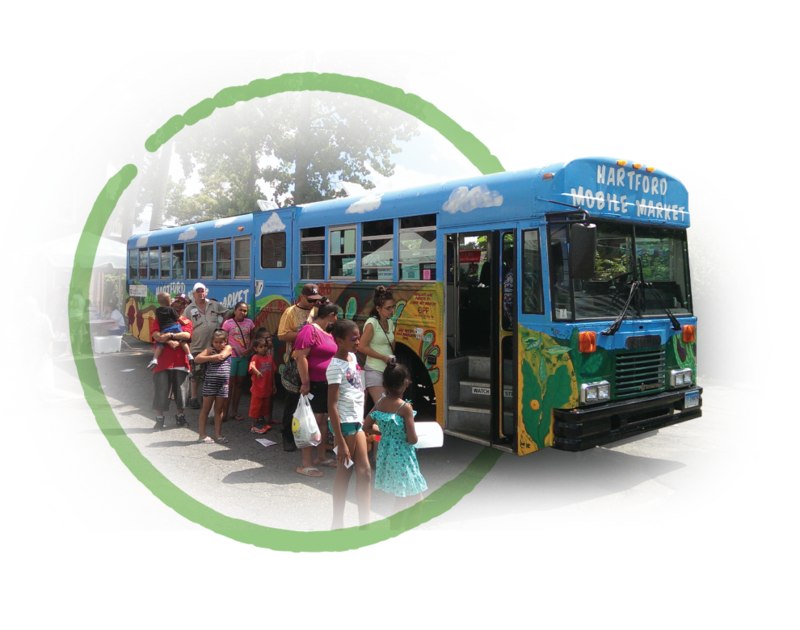 It is a year-round mobile produce market for targeted low-income neighborhoods, bringing fresh fruits and vegetables into areas with limited healthy food access. 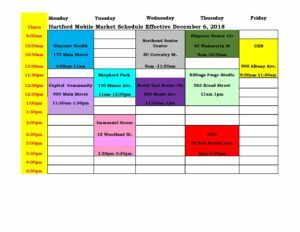 In addition to providing a source of locally and regionally grown produce for under-served communities, the Hartford Mobile Market also provides a new market for local farmers since many of the fruits and vegetables sold over the course of the year on the mobile market are sourced locally. 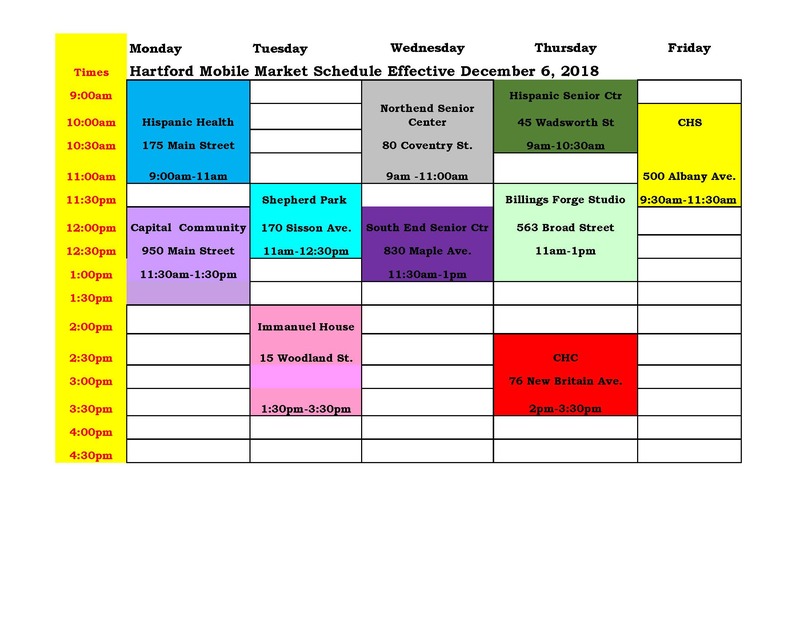 The Hartford Mobile Market began operating in December 2014 with two weekly stops, one at Hispanic Health Council/WIC and one at Community Health Services. SNAP and debit are accepted at all stops. We’re back on the road again with a newer, smaller vehicle and a more efficient operation. We’re indoors at the sites on the schedule below until warm weather is back that will allow us to be outdoors…come see us to get your fresh fruits and veggies! If you have questions about the mobile market, or if you are interested in hosting a mobile market stop, please contact the program coordinator, Shana Smith. Thank you to the supporters of the Hartford Mobile Market! 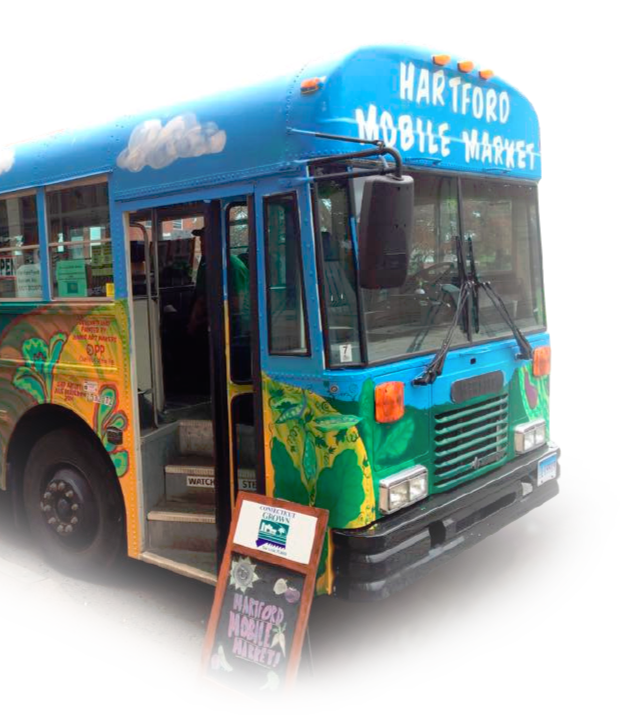 The Hartford Mobile Market is a collaborative project of Hartford Food System and Hispanic Health Council. The Harvard Pilgrim Health Care Foundation and Hartford Hospital are the program’s founding funders, with additional support from the City of Hartford, Bank of America, Mass Mutual Financial Group, the USDA, and the NBC Universal Foundation.